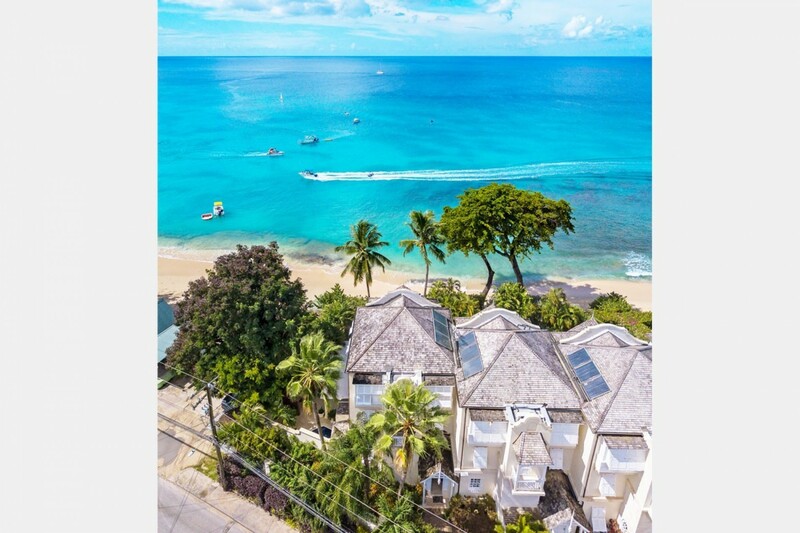 Located along the prestigious western coastline of Barbados, in Mahogany Bay, you will discover the luxurious 3-bedroom Seashells Villa. This property is based on the sandy shores of Payne’s Bay and enjoys direct access to this incredible beach. Accommodating up to six people, the villa offers you a stunning beachfront location with spacious interior and exterior living spaces. 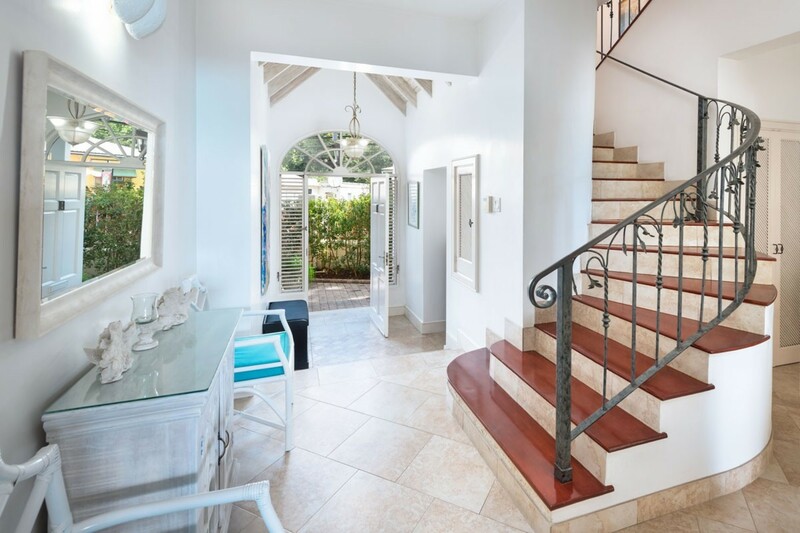 Featuring panoramic Ocean views and only a short five-minute drive from the vibrant Holetown, this vacation rental is the perfect place for you & your loved ones to stay. Seashells is a modern and spacious property that encompasses three levels in total. 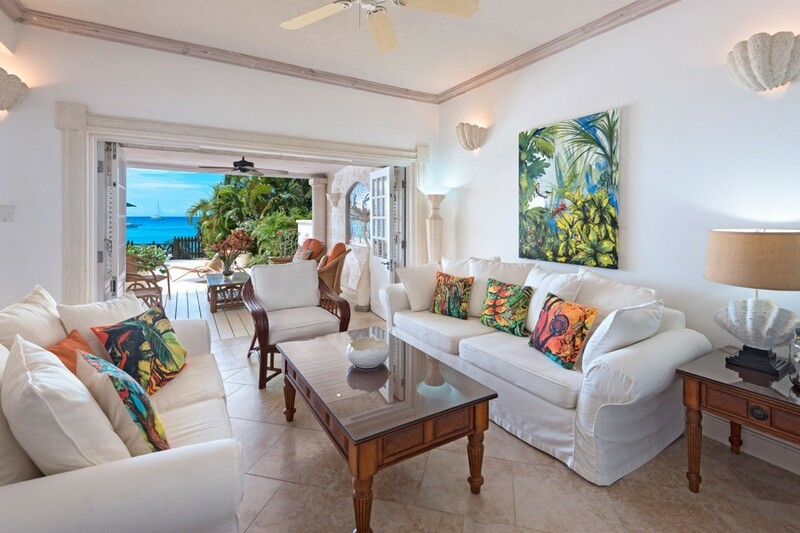 The villa is surrounded by lush tropical vegetation and features views over the turquoise Caribbean waters. 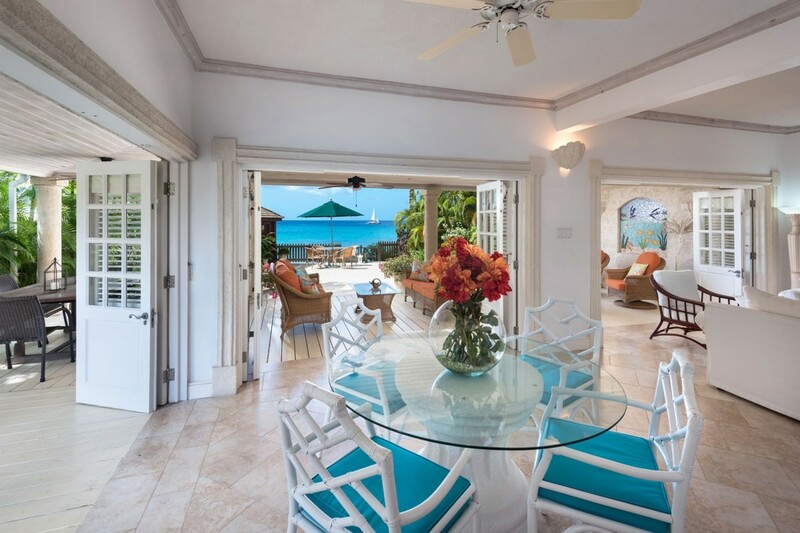 The villa has been recently renovated with island-style living in mind. The interior design is laced with hints of Caribbean chic and made warm with vibrant colors and tasteful artwork and furnishings. Making your way into the villa you will find yourself in the main entrance hall. The space is fitted with smooth tiled floors and to the left is the curved staircase leading up to the second and third floors. High vaulted ceilings and whitewashed walls fill the room with light and air, creating a light atmosphere instantly. The main living areas are found on the ground floor. The living, dining, and kitchen all blend harmoniously into an open plan room and indulge in views over the beach and sea. This area offers you direct access out onto the terrace through the large French doors. This opens the space creating a seamless transition onto the covered terrace and garden area. The living room features two large sofas that are splashed with colorful cushions and a ceiling fan overhead. It also features a 32" cable TV and Bose speakers. The kitchen comes fully equipped and ready to use during your stay. Here you can test out some tropical dishes and tantalizing treats for your guests. The kitchen and dining area are separated by the large breakfast bar. The clear glass cut dining table seats four guests in total. As you watch the incredible sunrise in the mornings, sip on a cup of coffee as you relax on the comfortable outdoor sofas under the covered terrace. The villas exterior living space features an expansively covered verandah and open-air deck. 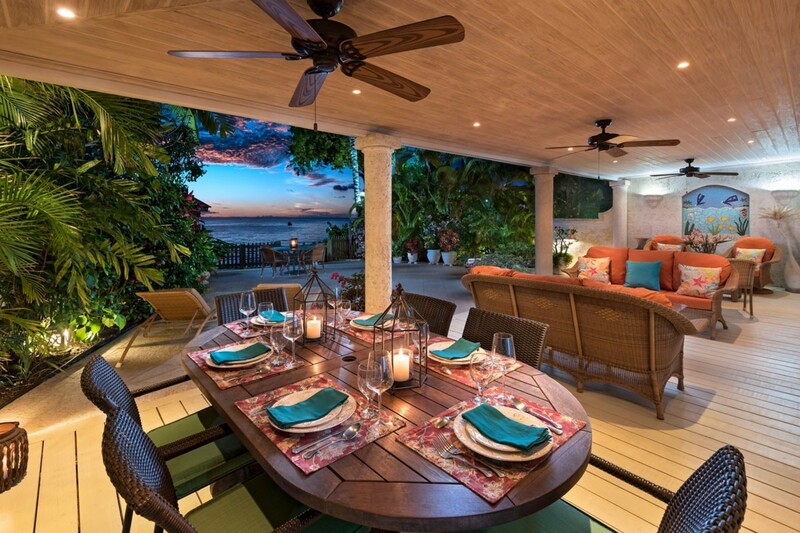 Embrace the island style living as you dine alfresco, surrounded by your loved ones. 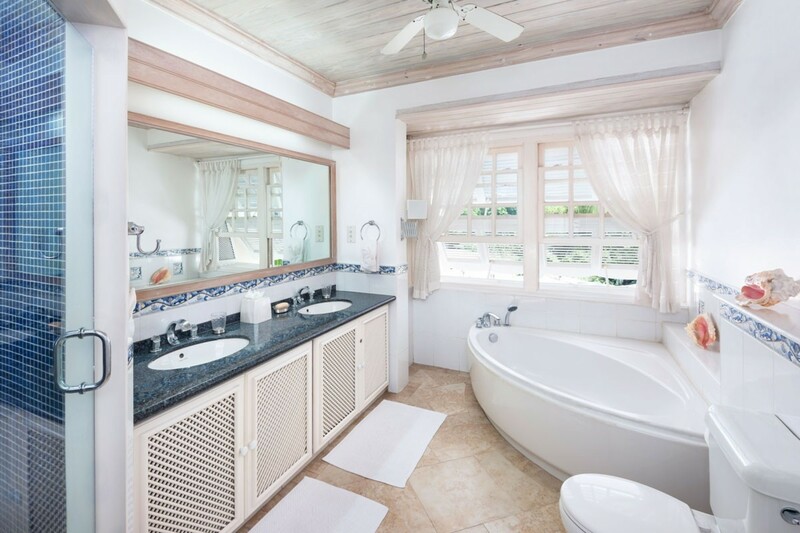 After a day out in Holetown, you can always return to the serenity of your private villa. 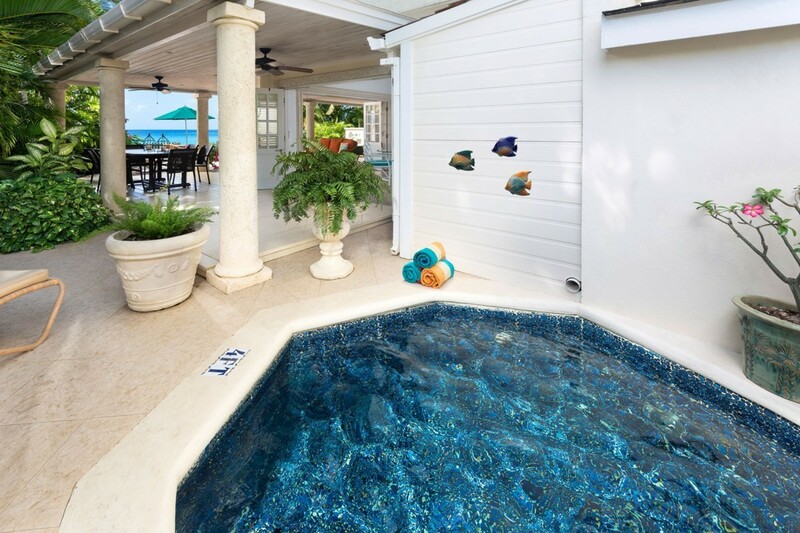 Slip into the refreshing waters of the plunge pool or you could even enjoy a swim in the salty Caribbean Sea. With direct access onto the beach, spending a day on the powdery sand comes easy. Walk along the shoreline and collect some delicate shells or simply sunbathe on the plush sun loungers. 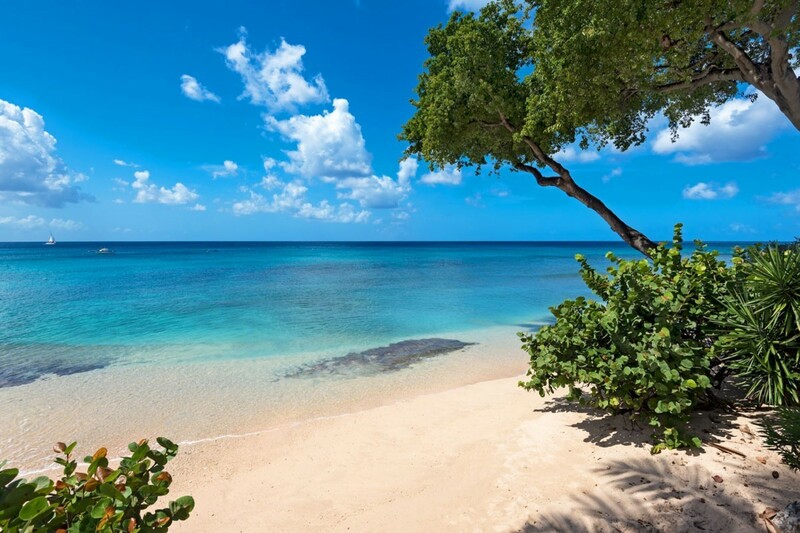 Payne’s Bay beach offers you privacy and excellent snorkeling opportunities. 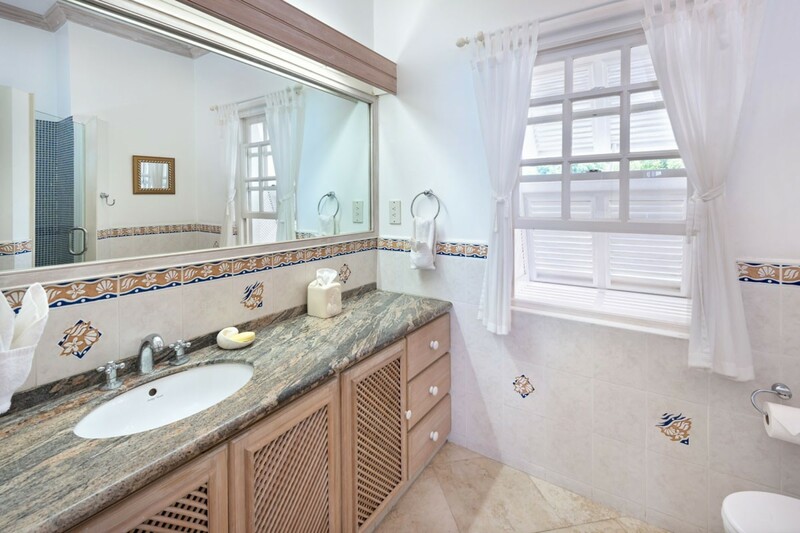 Villa Seashells has a total of 3 airconditioned bedrooms each featuring their own private en-suite bathroom. Each bedroom also includes a secure safe and a ceiling fan. 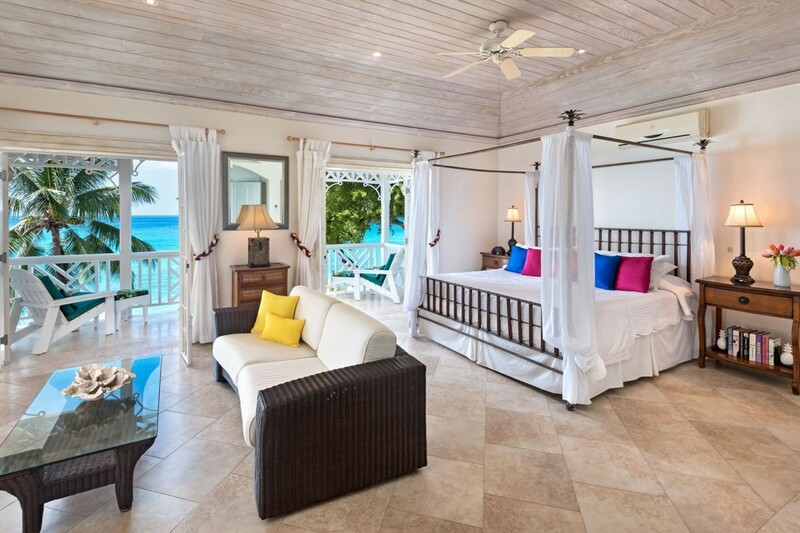 The master bedroom is situated on the entire top floor of the villa, indulging in elevated sea views. This spacious and lavish room is fitted with a large king-sized bed and a plush sofa. Opposite the sofa is a large high-resolution cable TV and in the corner of the room is a quaint office nook. The room indulges in a full-sized walk-in closet and dressing room. The bathroom features a large bathtub, shower, and double vanity. The master suite has its own double balcony, equipped with outdoor seating. The second and third bedrooms are based on the second floor and each offer walk-in closets and access a private balcony with a fabulous sea view. The first bedroom features a luxurious King-sized Bed, while the second offers comfortable twin beds (can be converted into a king-sized bed if desired). 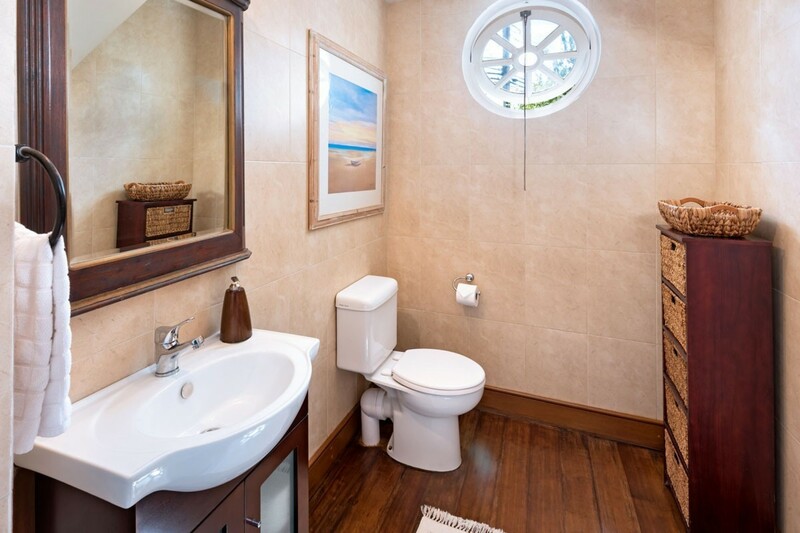 The private En-suite Bathrooms for these two rooms both include a shower and single vanity. 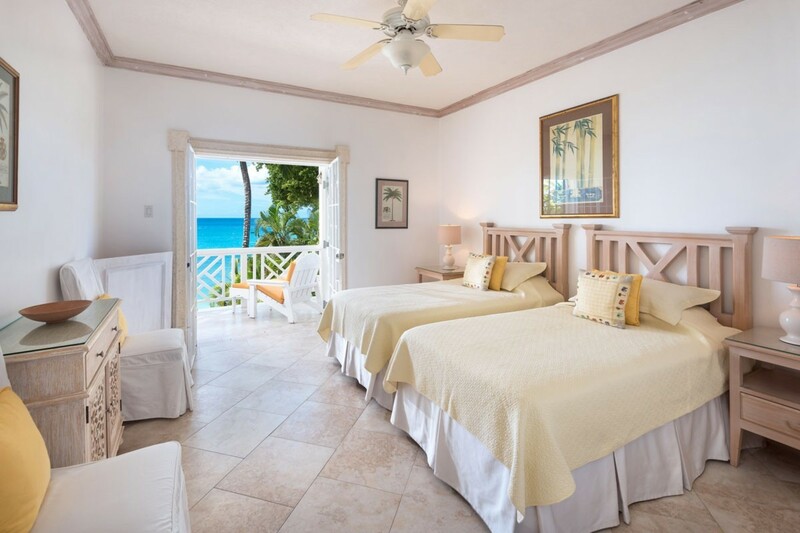 The bedrooms throughout the villa feature modern window coolers that offer you some natural light. The wrought iron grills on the doors leading onto the balconies have recently been fitted to allow the option of leaving the doors wide open. 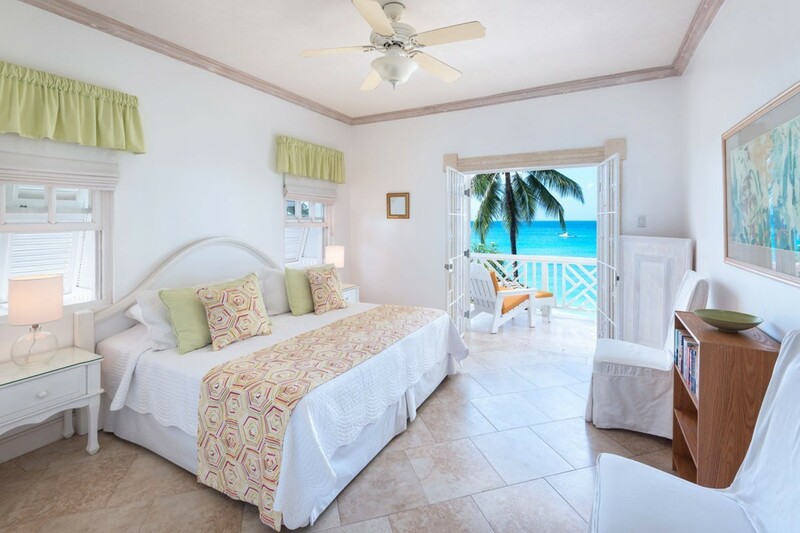 Fall asleep each night to the Bajan breeze and the sound of the ocean. 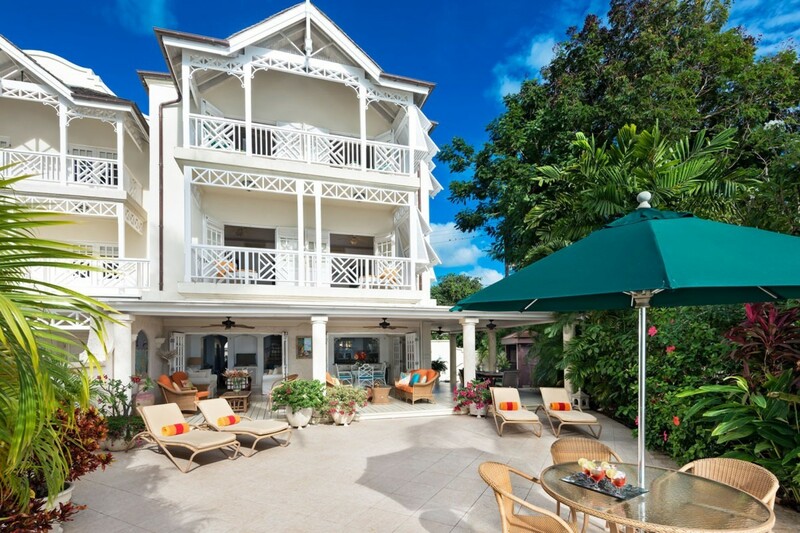 Villa Seashells is a prestigious beachfront property that caters to all of your needs. 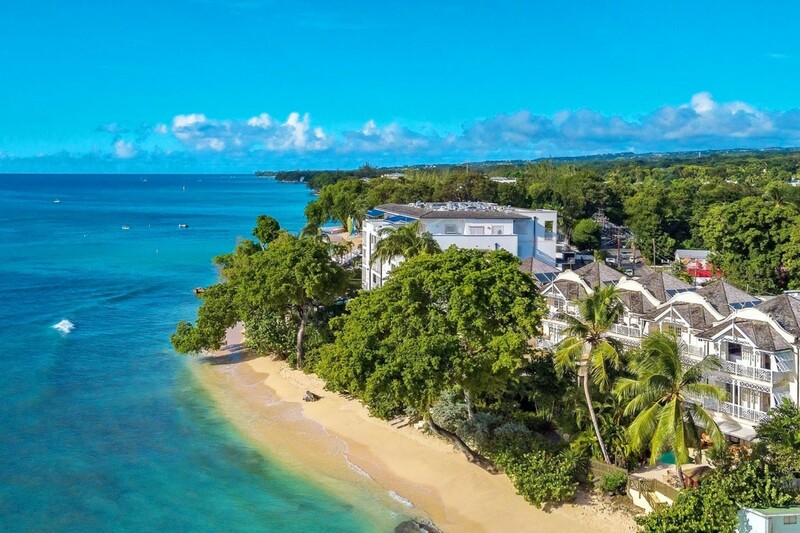 With an abundance of luxurious features and an ideal location in Payne’s Bay, Seashells provides you with the perfect family getaway. *Beaches fluctuate in shape and size due to responses of seasonal waves, currents, and tides. Every effort has been made to depict the beach in front of this property, but temporary changes may occur. Directly in front of the property is a tropical reef and a short stroll along the beach to a fabulous swimming spot. Bedroom 1 Master: Luxurious King-sized Bed, Private En-suite Bathroom, Large Bathtub, Shower, Double Vanity, Plush Sofa, Safe, Ceiling Fan, Access to private Balcony, Outdoor Seating, Panoramic Ocean Views. Bedroom 2: Luxurious King-sized Bed, Private En-suite Bathroom, Shower, Single Vanity, Safe, Ceiling Fan, Access to private Balcony, Sun Lounger, Panoramic Ocean Views. Bedroom 3: Comfortable Twin beds (can also convert to a King-sized Bed), Private En-suite Bathroom, Shower, Single Vanity, Safe, Ceiling Fan, Access to private Balcony, Sun Lounger, Panoramic Ocean Views. Seashells is based along the western coastline of Barbados, in Mahogany Bay. 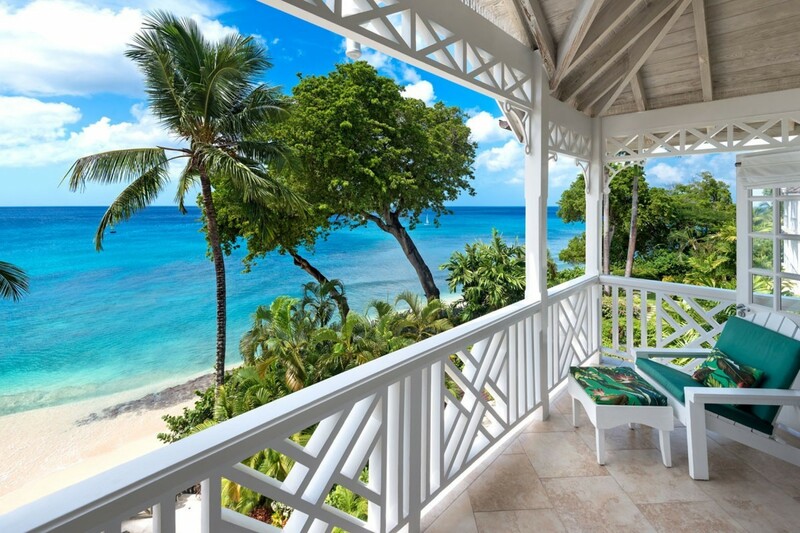 The property is based on the sandy shores of Payne’s Bay and enjoys private access to this incredible beach. 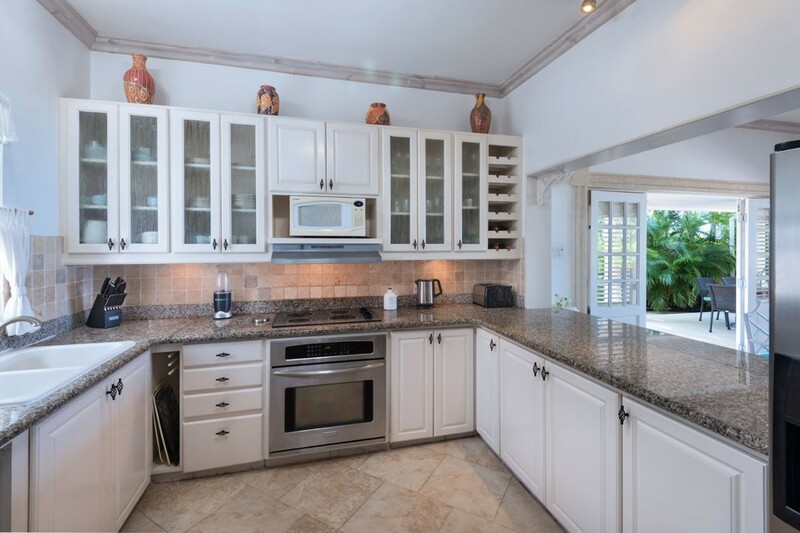 Based only a short five-minute drive from the vibrant Holetown, this vacation rental is ideally located near many amenities and activities you can enjoy during your stay. Mahogany Bay-Seashells is also within walking distance of several restaurants and is relatively close to nearby Golf Courses and Watersport activities.